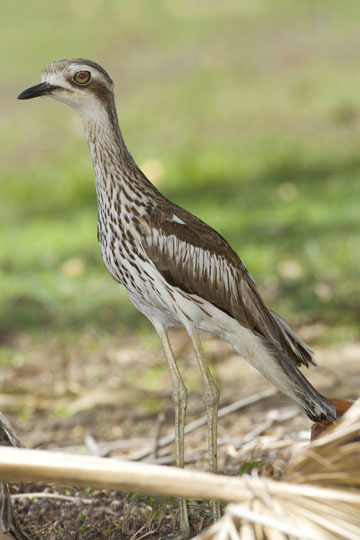 Thicknees (sometimes called 'stone-curlews') are found in much of the world, but not in North America. 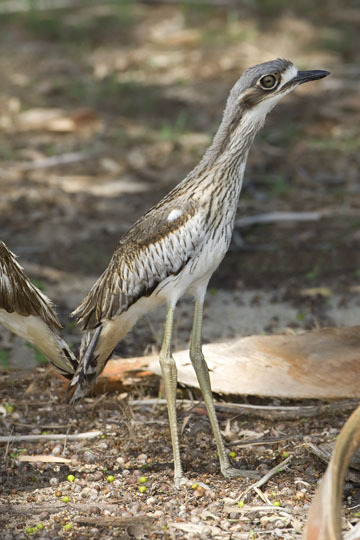 All look like big, long-legged plovers, usually highly camouflaged, with big, staring eyes. 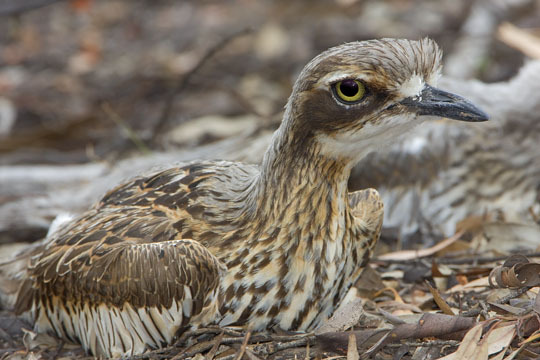 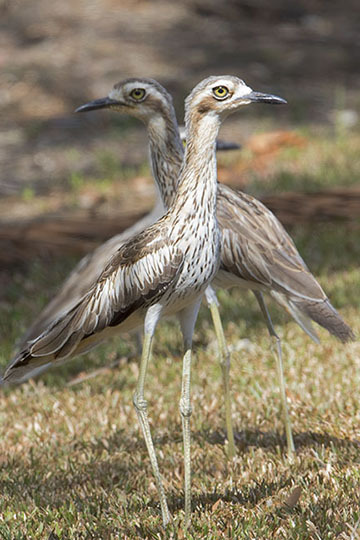 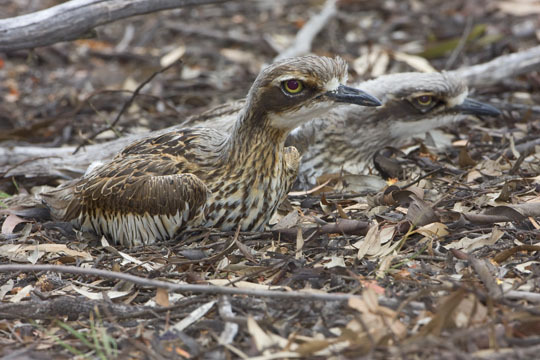 Australia has two species, the scarce coastal beach thicknee and the bush thicknee shown here. 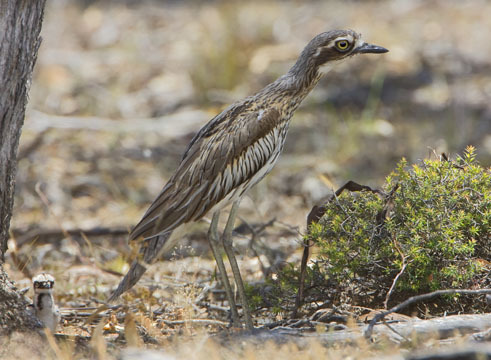 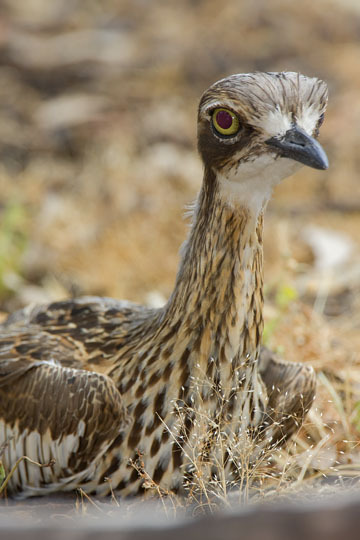 Bush stone-curlews, as their name implies, are found inland, in many scrubby or forested habitats across the continent. 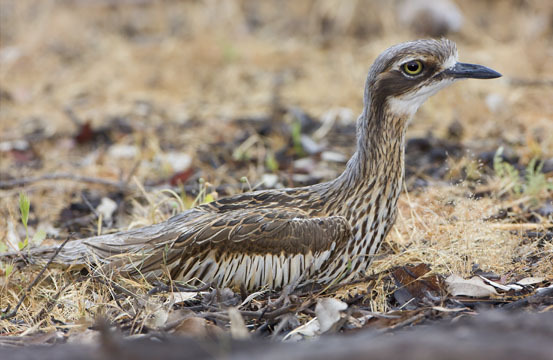 They live on the ground and are largely nocturnal, producing strange, whistling calls that can be a bit startling in the middle of the night. 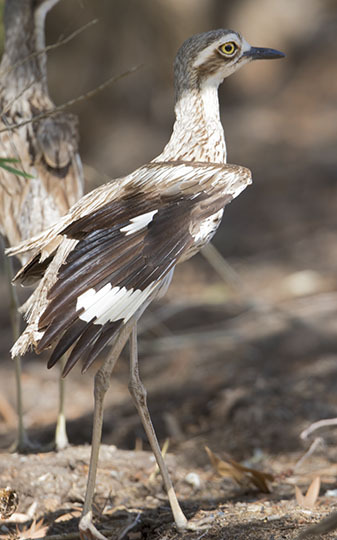 I photographed these in two places about as far apart as one can get on the Australian continent: the cemetery in Cairns, Queensland, and in the Dryandra Woodlands reserve near Perth, Western Australia. 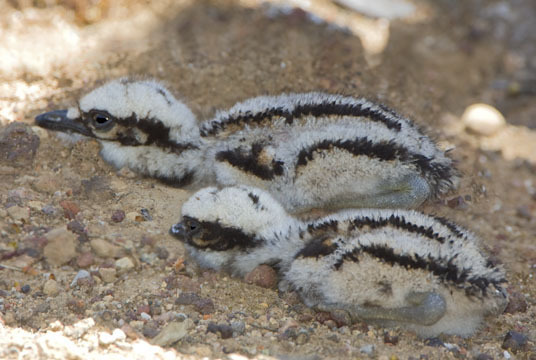 Most of these are adults, but two of the photos show newly-hatched chicks.